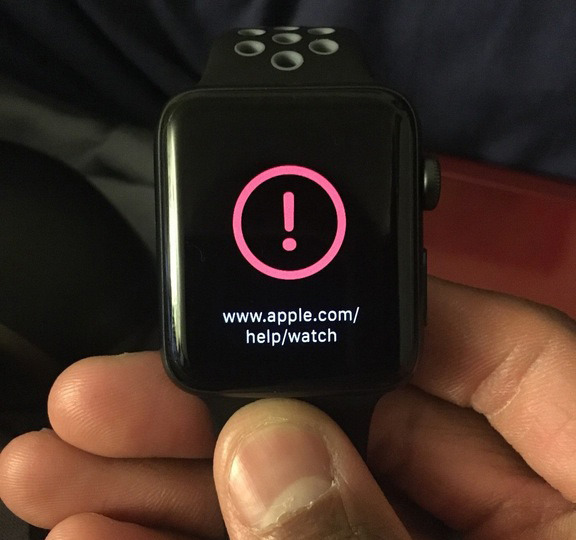 Affected Watches are ending up on a screen with a red exclamation mark, and a link to www.apple.com/help/watch. In practice, though, even Apple stores can't deal with the problem directly, which purportedly involves connecting to a Watch's diagnostic port to restore the device. Instead Apple stores are apparently sending units off, making it easier in some cases to use the company's support site and apply for a replacement by mail. While the problem primarily appears to be affecting Series 2 Watches, some earlier models may also be impacted. Since even many Series 2 owners haven't experienced any trouble, though, it's not clear what the root cause might be. If faulty code is responsible, Apple may already be aware of the issue and working on a watchOS 3.1.2 update. 3.1.1 was released in tandem with iOS 10.2 and tvOS 10.1, and was itself meant to offer bugfixes.